What tasks can you automate and what tasks should you automate? We think automation in these five areas will lead to significant savings of time and effort. How digital is your onboarding process? Do you still have to put together new owner and tenant packages from stacks of printed paper? If your copy room is a focal point in your office, then you have room for improvement. We suggest an operational review and revision of your workflows first. Once you have everything documented, pick a project management software, and create a client onboarding and tenant onboarding template. For every new client or tenant, copy the appropriate template to their folder and your team will have a task by task list that includes every action necessary to complete a comprehensive onboarding. Great software solutions will have document storage in the cloud as well. Adding an e-sign option will allow your tenants to fill out necessary documents which can, with the right software, be emailed straight to their file. If you aren’t able to conduct a full operational review to implement significant automation, there are still some tricks you can use to save time. Create email templates and attach the PDFs to them, change names and dates and send. 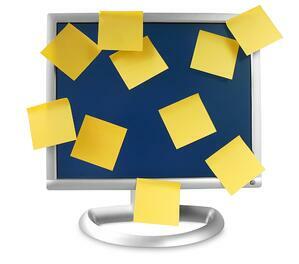 The less paper you are pushing around your office, the faster everything will move. Your property management software should already be set up to send automatic renewal notifications triggered by date. We know this isn’t always the case though, in my early days of property management I had a colleague that would create outlook reminders for lease renewals. That process might work if you have less than five tenants, but as you grow, you need more sophisticated options. Use software that automatically calculates the date of renewals based on the lease terms and your criteria (we recommend 90 days out). Create a form communication complete with documents that the tenant needs to process their renewal or give notice. With the right mix of technology, you shouldn’t have to do anything once you have it set up correctly. Email templates will save you countless hours. Most sophisticated accounting systems can automate collections communications. Write the series of form letters and let the automation do the collecting. Of course, some tenants will still require a personal touch to collect, but for the average tenant, a series of electronic reminders will get the job done. Are you using a CRM? Leasing is a sales function, and there is a world of fantastic software meant to track contacts, nurture leads, and manage the customer relationship. So many leasing communications work wonderfully as part of your automated sales funnel in your CRM. If you aren’t using a CRM, you’re not only spending more time chasing your leads manually, but you’re also losing good contacts that aren’t ready yet. A robust CRM automation can nurture your prospects until the right property comes vacant, building that relationship, so you get the lead when the time is right. Property management is full of recurring tasks. Remembering to complete them on time and by the same workflow means reduced work. Scrambling last minute template a missed task leads to mistakes that take even longer to clean up. Once again, this is where using an online project management software is going to make your life easier. Some people love working from lists. With an automated system, you will save the time it takes your employees to make a list, to determine what it is they need to do each day. Setting up recurring tasks keeps everyone on the same page too. Instead of regular meetings to follow up on the status of tasks, you can look at your task management software and see who is on track or who needs help. If you have employee turnover, it will be easier because you’ll know exactly where they left off. We can’t give everyone step-by-step instructions for automating these tasks in-house, there are too many different mixes of property management software, file storage software, and project management software to begin to cover it in one blog. If you need help automating your operations, contact Rent Bridge. As part of our Game Plan, we work with property management companies to better document their work-flows and increase automation, so you spend less time in the office while growing your doors.